Politics necessarily involves relating to citizens. To be considered as such, politicians should, in all logic, actually relate to citizens. This is however not the case most of the time. Constituents’ voices are often misinterpreted, distorted or disregarded by those who should primarily relate to their needs – and only after having done so, govern. The ill effects of this misappropriation become apparent in a variety of ways. In Portugal, it has taken the form of austerity. As the Welfare state was being sharply trimmed, austerity came to be the law of the land. It developed into the norm, despite the fact that no convincing explanations were given for it. No consultations were made. There was no debate. Something was lost in the process that goes from the crisis to the answer given. Not an inconsequential loss. The Portuguese were stripped of their right to have a say. Policies which dramatically changed their lives were discussed, not in Lisbon, but informally down the corridors of the European institutions. Today, though, as the crisis appears to be wearing off, Portugal is slowly, but steadily, recovering its voice as a sovereign country. Beyond a fragile economic recovery that has little effect, for the time being, on those that have endured the full weight of austerity, the real aspect to celebrate is the newfound exchange of ideas that is taking place. Austerity may still be the law of the land, but it is now being questioned. The Portuguese government has now been in power for over 100 days. In case you missed it, Antonio Costa, the current Prime Minister, managed to pull off a Machiavellian trick that ushered him to office. 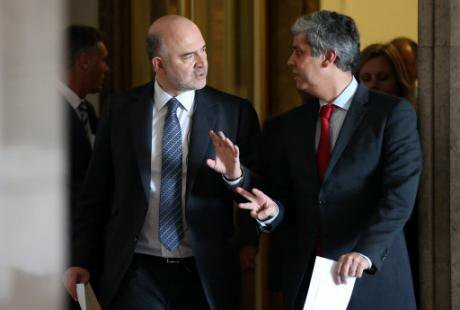 Meanwhile, a new President of the Republic was elected, yet another bank was bailed-out by the state, and Brussels green-lighted Portugal’s national budget, after excruciating scrutiny. Austerity, once considered the lesser evil, is now being severely questioned. And the Portuguese government is doing much of the questioning. By decreeing a minimum wage increase from 505 to 530 euros, pledging to reverse the pension cuts and the cutbacks in public services, the executive is sending a clear message to Brussels: Portugal’s membership of the European Union is out of the question, but it will not trade off its national sovereignty and jeopardize the wellbeing of its citizens. The days of silent acquiescence and economic submissiveness are no more. The debate on issues over and above their economic value is back. Portugal is letting go of its role as obedient student. After seven years of nodding nothing but yes, it has decided that enough is enough. Austerity has caused a great deal of misery. It has fragmented society. But even worse than being jobless, having no money and benefiting from reduced social services is undergoing all of this because Brussels says so. A conservative government was responsible for governing Portugal during a difficult period. The challenges were indeed enormous, but the government failed to rise to them. The Welfare State was partially dismantled and inequality increased exponentially. Bankers and politicians were bailed-out. Not citizens. Acting merely as a spokesperson for Brussels, the former government made no effort to explain the situation to citizens. Threats of upcoming disaster and a European Union in tatters were the only official reasons for relinquishing national sovereignty. The government opened no internal debate. It simply implemented the measures it was told to. It obeyed orders. Austerity may, indeed, have been a mistake. But failing to explain it to the Portuguese citizens, or even trying to, cost the former Prime Minister, Mr Passos Coelho, dearly. Despite coming first at last October legislative elections, his conservative coalition was outplayed by a leftist alliance formed by Socialists, the far left and the Communists. Waving the anti-austerity flag, the opposition promised the end of cutbacks and social sacrifices. The news coverage of the events that led to the formation of the current government, once more, misplaced its focus. Many journalists wrongly accused the current Prime Minister, Antonio Costa, of lacking legitimacy to govern. Others rightfully accused him of being manipulative and disingenuous. Few, however, zoomed in on the window of opportunity that had suddenly been opened. For the first time in a long time, politicians were actually practicing politics. Economic terms like “productivity”, “efficiency” and “deficit” remained, of course, in the limelight, but this time they had to share centre stage with other issues such as what is in the best interest of the Portuguese, or what is preferable in political (not just economic) terms. Thinking in economic terms may be the norm in these troubled times, as Tony Judt famously recognized. But it has not always been like this. Antonio Costa may be a Machiavellian politician who uses dubious tactics, but this is another debate altogether. Regarding this one, he just opened a window that very few denounced had been shut. It would be overhasty to say, however, that this is the end of austerity. 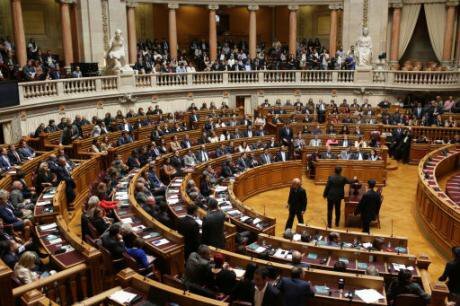 Austerity, as the national budget reflects, still permeates public affairs in Portugal. But it is no longer hegemonic. Unsurprisingly, austerity was the main political topic before the elections. It has also turned out to be the main topic after the elections: a measure of the fact that the Executive is relating to citizen anxieties. Not particularly because of anyone’s wish, but because the political situation is demanding it. Antonio Costa has tied its government’s fate to the end of austerity. Failure to do so would cost Mr. Costa his position as Prime Minister. Success would make him a credible alternative - what many consider an inevitable lesser evil. Whatever the outcome, the decision this time will be made in Portugal, not in Brussels. Channeling opposition to austerity might just be answer to the government’s arithmetic. While no one is denying this, very few are paying attention to what lies beyond the debate on the good and the evil side of austerity. Breaking with an external ruler is necessary for Portugal to quell polarization and heal its wounds. Whatever the outcome of the debate, the important thing is that there is one. The debate on austerity could not be timelier. European countries, Portugal and Greece in particular, have endured economic policies that were neither properly discussed nor properly explained. The shortcomings of these policies are clear, and they should be addressed - especially those affecting the wellbeing of citizens and the cohesion of our societies. The failure to relate to the anxieties and fears of the citizens, and to properly listen to them, is a very serious affair in a democracy. Ignoring them altogether and replacing their collective will with a fabricated voice in an informal meeting elsewhere is even worse. Contrary to the strategy of the previous Executive, Portugal’s current Prime Minister is tapping into Portuguese anxieties. Out of political need? Perhaps. But what started as a grassroots opposition to austerity has now outgrown austerity itself. The issue is now what sort of society we want to live in. What is the future of the Welfare State? How can the European Union project, which we Europeans owe so much to, be put back on track? These questions have been out there for a long time, but only a few were discussing them. For once, politicians are mobilizing along citizen lines, and not the other way around. We should also appreciate the irony of how a prime minister, who has been accused of putting his political survival over and above the interests of his country, may have opened the door for change. What is important here, more than where this door leads to, is that it has been opened. How the debate may end is a matter for speculation. It could end up in nothing. Still, to have it going is certainly more productive than not discussing politics at all - or discussing them exclusively in economic terms. Although this sort of politics we have been subjected to may, in theory, have answers for practically anything, in practice, however, it relates to one. In any case, I dare say, we will try.